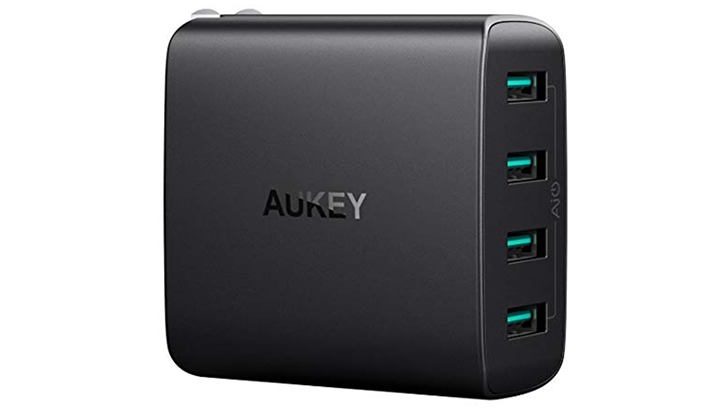 In this latest round of deals, Aukey is offering coupon codes for two wall chargers and one car charger. See the full list below. Both wall chargers feature only USB-A ports and can adaptively charge all 5V USB devices at up to 2.4A per USB port. The four-port charger packs a total of 40W of power. As for the car charger, it offers a 5V/3A USB C port and 5V/2.1A USB A port. If you're interested in taking advantage of the above codes, keep in mind that they're valid until January 19, giving you plenty of time to shop around.